These two dolmens are in a very bad state - at least I think so. According to the sign you weren't allowed to "penetrate the vegetation", and I respected that wish. 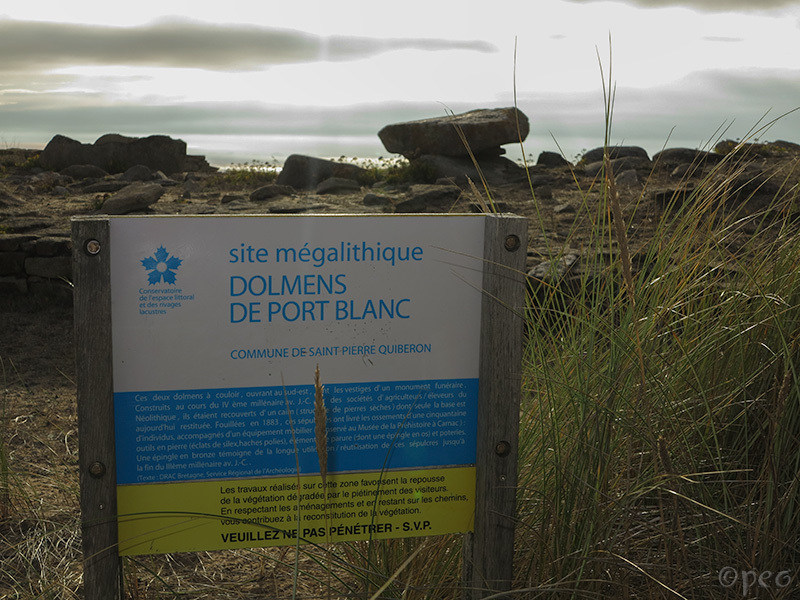 The graves were built more than 5000 years ago on the west coast of the Quiberon peninsula, at the Côte Sauvage, about 2 km northwest of Saint-Pierre-Quiberon. A beautiful view to the sea.